Yesterday I was talking to a friend about how hard it can be to navigate the green beauty and household product world. Greenwashing (aka false advertising, claiming something is cleaner or greener than it is) abounds and terms like organic, natural GMO-free can be meaningless in the beauty world. Here are some tools that I use to cut through the noise and to find products made with safer ingredients. 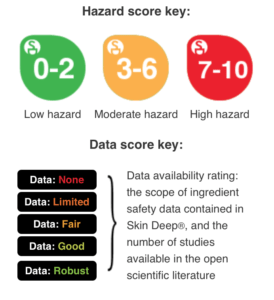 The Environmental Working Group (EWG) is one of the leading organizations on cosmetics safety and their Skin Deep Database is a great (unbiased!) tool for those who want to learn how their ingredients stack up compared to other brands. The majority of personal care products are in this database, and you search by brand or ingredient. You want to look for products that score 0-4. 2. 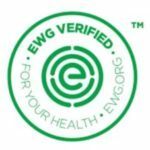 EWG Verified is a new certification program for personal care brands, and brings their consumer tool—Skin Deep—to the next level. Products that have the EWG Verification can be identified by this logo, and searched for in their database. Certified products undero a rigorous review of ingredient safety. Developed by the team at Beautycounter, The Never List is a a simple tool designed to help consumers avoid the most common 16 classes of toxic ingredients found in personal care products. This is a great first step to analyze what currently lurks in your products and was designed to simplify your life when you’re walking down the beauty aisle or reading ingredient labels in your bathroom. 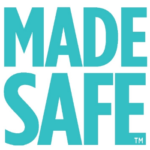 MADE SAFE is a non-profit organization and certification that extends beyond personal care products to include household cleaners, mattresses and more. The MADE SAFE certification combines an ingredient screen with product testing. Similarly, look for the list of MADE SAFE brands so you can feel confident in your beauty purchases.